A wry comedy-drama about absurdity, identity and authenticity. 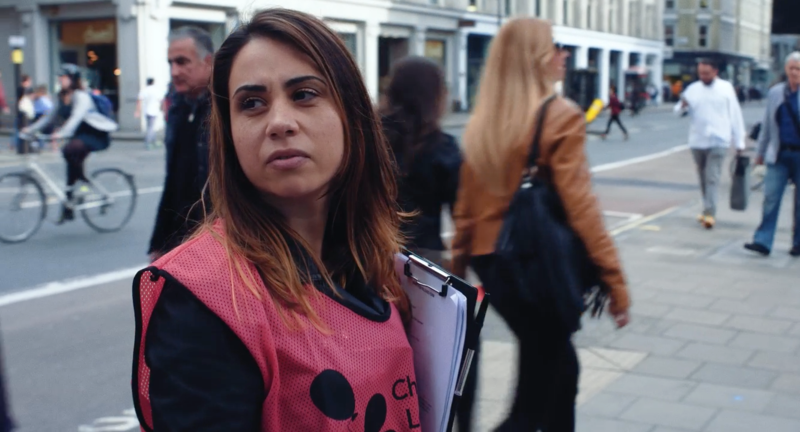 Nat is desperate to find the time to prepare for tonight’s audition, but first she has to deal with the frustration of a day working as a charity fundraiser on the bustling streets of London – one of the most hated jobs in Britain. She feels like she’s failing at her job and failing at life until an angry encounter with a member of the public turns into the kind of crisis that might also be an opportunity.